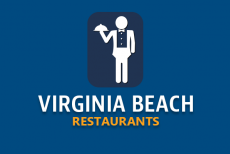 Coastal Grill in Virginia Beach has been rated "The Best Restaurant in Hampton Roads" by the Hampton Roads Magazine's Platinum Plate Award. Come to Coastal Grill to see why! Visit Cobalt Grille in Virginia Beach to experience an American Contemporary Cuisine. Located inside the Doubletree Hotel is Max & Erma's, a diner with some of the best burgers in VA Beach. Don't let the fact this is a national chain deter you from coming in and sampling some of the best American food at the beach. 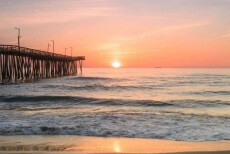 This delicious Virginia Beach restaurant is famous among foodies and watchers of Guy Fieri's Diners, Drive-Ins, and Dives. 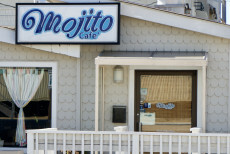 Citrus was featured on Fieri's hit TV show as it is one of VA Beach's most popular breakfast and lunch places. Looking for the best pastrami sandwich in Virginia Beach? You've got to come to Jeff's place, called Route 58 Deli. Aside from the absolute best pastrami sandwich around, there are tons of other must try items. Even Celebrities Dine at Whitner's! The famous Guy Fieri from the Food Network ate here, and you should too! Whitner's Barbecue was featured on Guy Fieri's television called "Diners, Drive-Ins, and Dives." Did you know in nearby Norfolk, they have the home of the first Waffle Cone Machine? 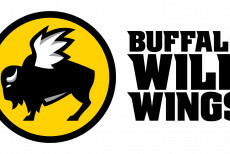 Relax, kick back and enjoy the atmosphere with your family and friends at Buffalo Wild Wings®! Hang out for a while and watch your favorite game on one of their many big-screen TV’s.